Following Mandriva Linux 2010 now it’s time for openSUSE to realse its new Os.The openSUSE project is a worldwide community program sponsored by Novell that promotes the use of Linux everywhere. openSUSE Linux provides anyone with free and easy access to the world’s most usable Linux distribution, SUSE Linux. 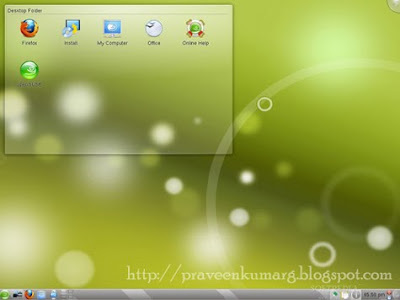 Make SUSE Linux the easiest Linux distribution for anyone to obtain, and the most widely used open source platform. Provide an environment for open source collaboration that makes SUSE Linux the world’s best Linux distribution for new and experienced Linux users. Dramatically simplify and open the development and packaging processes to make SUSE Linux the platform of choice for Linux hackers and application developers. Next-gen file systems – The EXT4 filesystem arrived in the popular openSUSE 11.2 distribution, along with the possibility to encrypt the entire hard drive. The Btrfs is also available in this release. Simply beautiful, new artwork – Both the KDE and GNOME desktops have lots of improvements on the user interface. There is a very nice boot splash screen for each one, new wallpapers… all green! Slab Main Menu for GNOME – A very smart menu applet for the GNOME desktop environment, designed by the openSUSE developers and used in popular distributions such as Linux Mint. It allows you to easily search for applications, access settings and programs fast and it remembers the last used apps. The KDE 4.3.1 desktop environment – It brings better support for network connections, better integration of the OpenOffice suite and the amazing Mozilla Firefox web browser. The GNOME 2.28.0 desktop environment – It offers an eye-candy theme, a better application for software updates, Cheese (GNOME’s webcam tool) improvements, and lots of various improvements to the overall desktop stability and look. OpenOffice.org 3.1 – The popular office suite from Sun Microsystems just got better and faster in this new release of the openSUSE operating system. In-place upgrades – The Zypper tool makes sure that all current openSUSE 11.1 users will safely and easily update their system to the brand-new openSUSE 11.2 release. Social networking at home – The Gwibber (GNOME desktop) and Choqok (KDE desktop) microblogging clients will clearly and easily handle multiple social networking websites, such as Twitter or Facebook.